Specially formulated to slow the dry of Quantum waterborne coating. Add to Quantum products to slow down dry time and prevent lap marks. To dispense the product, squeeze the container to fill the top chamber with the required amount. Mix thoroughly after each addition. 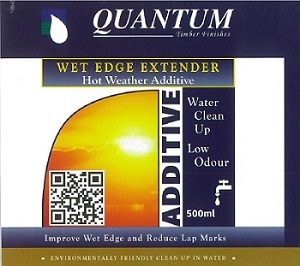 Specifically formulated to slow the drying of Quantum waterborne coating.